HUNG YEN (VNS) — A stone statue of late Party General Secretary Nguyen Van Linh was inaugurated yesterday in the northern province of Hung Yen to commemorate the man who initiated implementation of Viet Nam's successful ‘doi moi' (renewal) policy. Nguyen Van Linh, born on July 1, 1915, in Giai Pham Commune of Hung Yen's Yen My District, was just 14 when he began his service to patriotic forces. After Viet Nam gained independence from France in 1945, Linh was released from Con Dao Prison, where he was imprisoned for 10 years, and joined the fight for reunification and liberation. At the Communist Party's sixth congress in 1986, the Central Committee and Linh, then General Secretary, initiated the ‘doi moi' process. It provided a breath of fresh air to a struggling society by cleaning up the Party and State, as well as opening up the market for economic integration with the rest of the world. At the statue's inauguration, State President Truong Tan Sang lauded Hung Yen's socio-economic achievements and asked local authorities and citizens to step up their efforts in turning the province into a developed locality. On Sunday, Sang attended a ceremony to recognise the old Hien Street (Pho Hien), in the Red River Delta's Hung Yen province, by awarding it the status of a special national heritage site. The Pho Hien relic complex, with its countless pagodas and temples, lies in the villages of Dang Chau and Ne Chau. The site was once a bustling commercial port on the Red River, with its heyday in the 17th - 18th century. Pho Hien was second only to the Imperial capital city of Thang Long as a trading point. 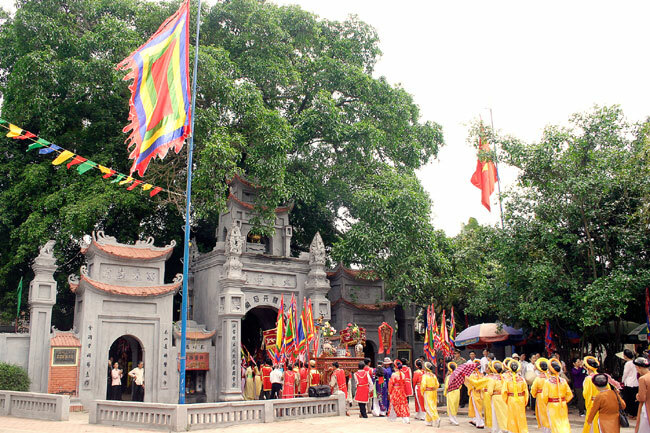 The annual Pho Hien Cultural Festival takes place throughout the complex, marked with traditional rituals, games and art performances to bring to life the history, spirituality and culture of the street. Addressing the opening event, Vice Chairman of the Hung Yen People's Committee Dang Ngoc Quynh highlighted the diversity of the province, mentioning the more than 1,200 relic sites and 400 local festivals. During the event, Deputy Minister of Culture, Sports and Tourism Dang Thi Bich Lien showed respect to the Pho Hien relic complex, complimenting it as both an important cultural landmark and an attractive tourism destination. She urged the province to expand publicity campaigns, enhance preservation work and uphold traditional values.